A recent article in The Scientist once again reminds us of the ongoing explosion in the scientific understanding of the human microbial system. In a few short years, this area of exploration has moved to the forefront of medical and basic science research in human biology. I think it's becoming clear that the most useful way to think of human body function is to recognize that an "organism" is really a sort of "habitat." And like any habitat, it functions best when all the inhabitants are within a limited range of balanced relationships. Who are the inhabitants? Besides our own cells? Well, one could think of mitochondria and cilia and other organelles as symbiotic internal inhabitants of our cells. They're not that literally, of course, but I think its a useful metaphor for understanding the human body. Then there are the many microbes and animals that cover our internal and external surfaces, burrow into some of our pores and glands, and inhabit our body fluids. I call the balanced functional relationship among the various microbomes of the body and our own tissues the human microbial system. And I am certain that it won't be long before we will be discussing this system alongside the major organ systems of the body. That is if we truly want to understand how the body really works. The article in The Scientist I mention is a great summary of some of the major roles that the human microbial system plays in the human body—and a good survey of some of the areas of the body where the human-microbial functional relationships play out. See the link to the article below. Why not introduce the concept of the human microbial system at the beginning of our A&P course, when we set the stage by explain how scientists understand the body and its functions as an integrated system of different parts? We can mention the different microbiomes of the body when we explore each organ system where they play an important role—which is pretty much all of them! Consider discussing what happens to normal human function when microbiomes get out of balance. For example, in the gut a microbial imbalance can lead to ulcers, diarrhea, and other dysfunctions. On the skin a pathogenic microbe may become dominant and cause a rash. Promote a discussion of what kinds of wellness strategies might be employed to prevent microbial imbalances. Our students can leave our A&P course with an up-to-date understanding of human biology that will help them understand new clinical concepts and treatment strategies. 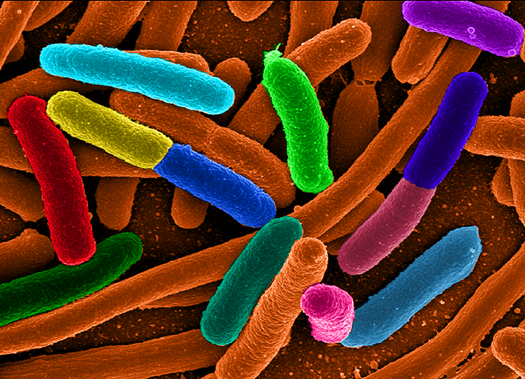 Plain-English article (cited above) on how research on the human microbiome is booming, and scientists have moved from simply taking stock of gut flora to understanding the influence of microbes throughout the body. Radio stories from National Public Radio on human microbiomes and their role in health and disease. The growing number of these stories tells us something as A&P teachers: maybe we better be covering this! I just learned that the renowned forensic anthropologist Clyde Snow passed away this past May at the age of 86. Famous for identifying the remains of Nazi war criminal Josef Mengele and victims of mass murderer John Wayne Gacy, Snow was one of a generation of pioneers who sparked the current popular interest in forensic sciences. "There are 206 bones and 32 teeth in the human body, and each has a story to tell." "Bones can be puzzles, but they never lie, and they don't smell bad." "The ground is like a beautiful woman—if you treat her gently, she'll tell you all her secrets." Article summarizing Snow's work, including several stories that could be used in an A&P class discussion. Reenactment of forensic fieldwork in a killing that occurred decades before the victim's bones were discovered.